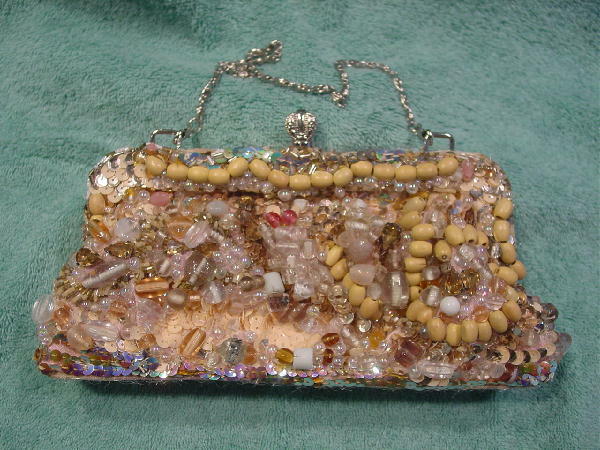 This never-used evening purse has a shiny silver-tone rim, link chain, and top snap closure. 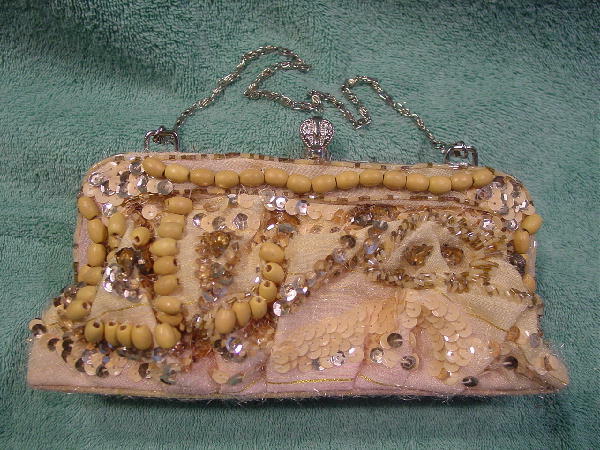 The purse has a fabric base in light yellow and light pink with darker accent threads in gold and pink. The fabric also has elongated thin silvery threads extending outward from the surface. 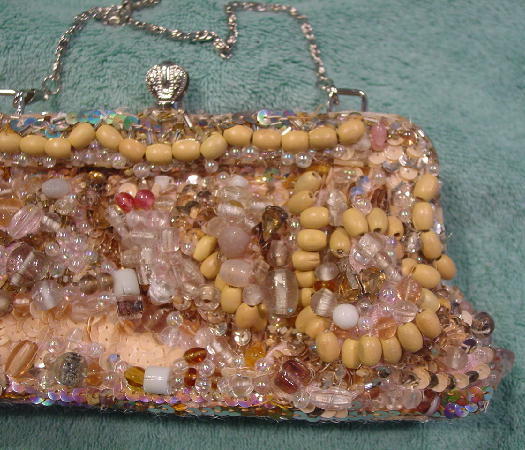 It originally had the light peachy sequins, dark amber faux jewels, iridescent sequins, and tiny bone and amber elongated beads. 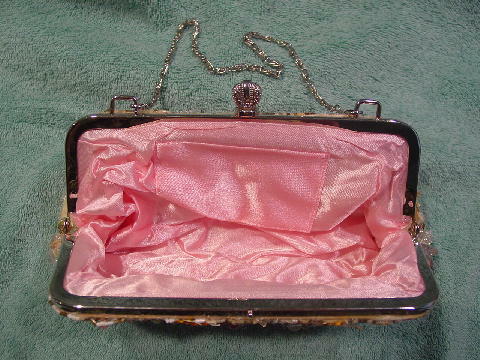 There is a pink synthetic lining with an open interior pocket. 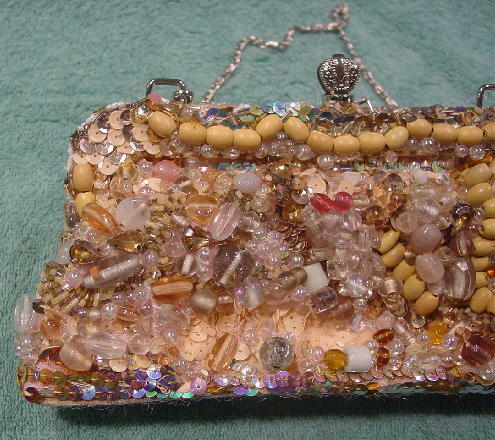 Eden got it as a gift and she added the wooden beads (natural color) on the front and back and also on the front she added the various shaped glassine beads in peach, grape, light and dark amber, pink, magenta, clear, frosted, and black accented clear. She also added multi-size iridescent round beads.